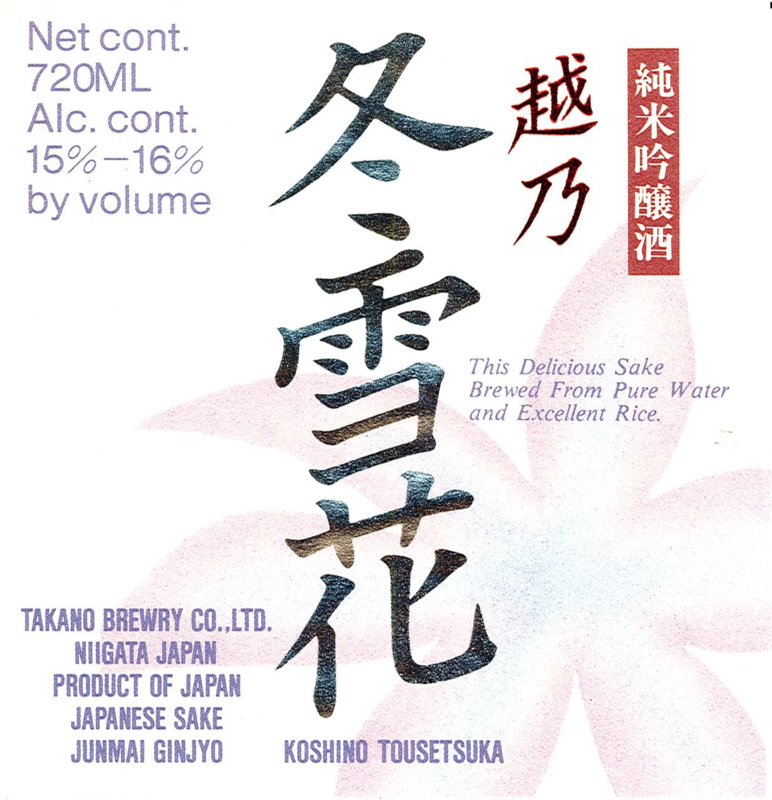 Koshi No Tosetsuka is an excellent ginjyoshu produced by the Echigo clan of brewers. Highly polished native rice from the Echigo fields are blended and stored with high grade water in snow covered sake vats. This soft and elegant sake has more than meets the eye. Aromas of cherry blossom, plum wine, and ripe yellow pear give way to delicate yellow apple, cantaloupe, honeydew flavors. Only after you swallowed do you notice the acidity creeping up.